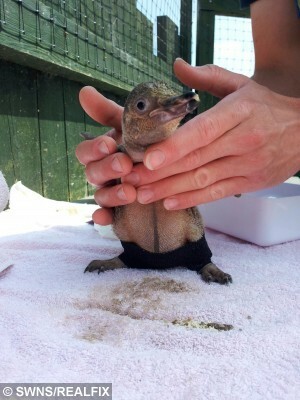 A penguin born with badly splayed legs is celebrating her first birthday with happy feet – thanks to her elastic pants. 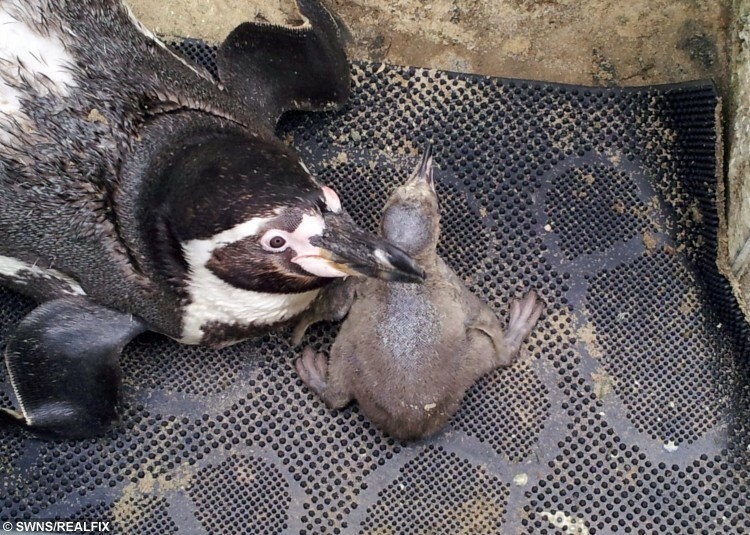 Pebbles faced a life of permanently disability because of her condition which is common in penguins. But staff at Scarborough Sea Life Centre, North Yorks., made her a pair of special elastic trousers and now the Humboldt chick walks unaided. She celebrated her first birthday on 16 June with an iced cake in the shape of fish. Lyndsey Crawford, displays supervisor at the centre, said: “Pebbles’ mum and dad were a bit over zealous with their brooding, and by the time we were able to disturb the nest without upsetting them her legs were growing out sideways instead of straight. Lyndsey and her colleagues used coloured elasticated bandage to make Pebbles tight-fitting trousers and gradually they succeeded in correcting her gait. She added: “It’s brilliant to see her getting about just as well as all the other penguins one year on. Pebbles is a member of a 20-strong flock of Humboldts in a newly redeveloped enclosure christened Penguin Island.